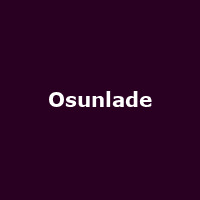 Osunlade has several critically acclaimed albums to his credit as well as a globally respected record label. He is in constant demand for production and remixes from labels and artists everywhere. He has performed all over the world as a DJ and a musician with The Yoruba Soul Orchestra, spreading his unique Afro-Latin spiritually infused deep house sounds.